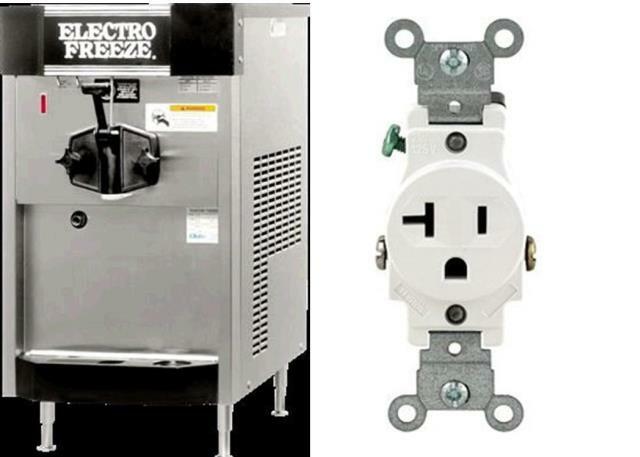 Soft serve ice cream machine should not be placed in direct sunlight and must be plugged directly into 115 volt, 20 amp outlet. 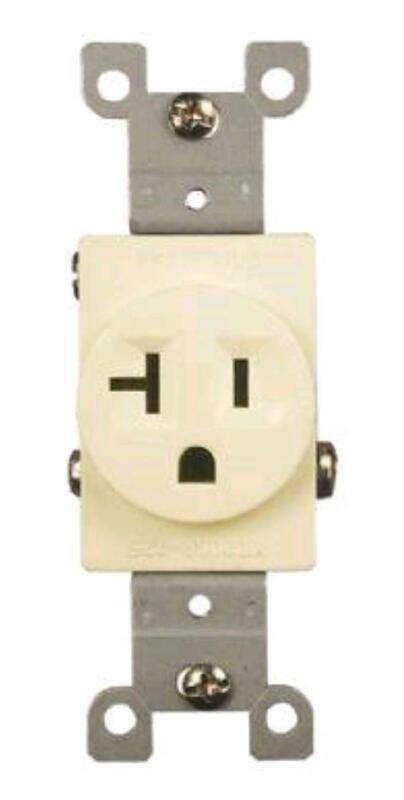 Can NOT be used with extension cord or adaptor of any kind. Requires 20 amp outlet. Please see photo of this outlet to be sure your home or venue has this outlet. Size: 29" H x 18" W x 29" D; weight: 205 lbs. Single flavor refrigerated hopper holds 10 quarts (2.5gal. ); produces 8 oz. serving in 58 seconds. Freezing cylinder holds 2.5 qts. Low mix lights tells when mix is needed. Night switch provides refrigeration of product during non business period. We will calibrate the machine to work properly with either a Milk Base Mix or a Water Base Mix. Your choice of mix should be ordered in advance from Gordon Food Service. Milk base mix is the best one to order. 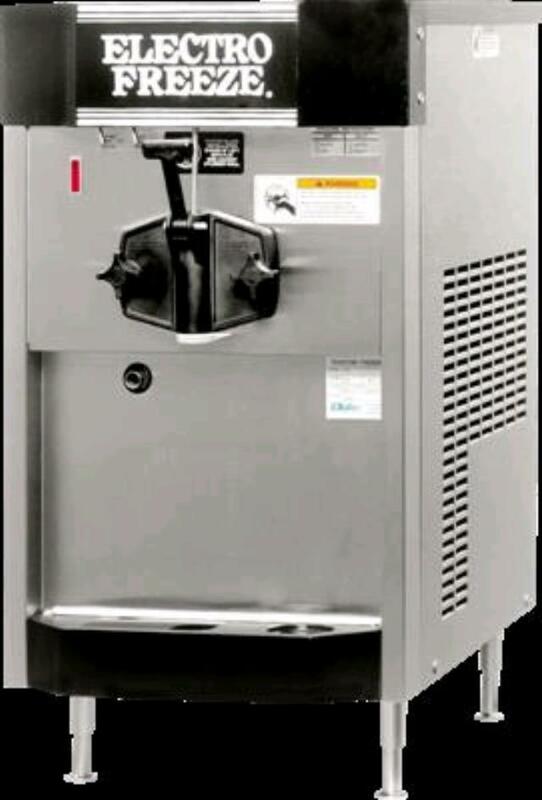 * Please call us for any questions on our dispenser ice cream soft 20 amp rentals in Ft. Wayne IN, Warsaw, Syracuse, Auburn, South Bend, Indianapolis IN.